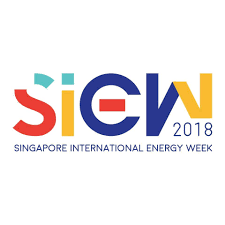 SINGAPORE, Dec. 14, 2018 — Over 13,000 senior government officials, industry captains, and academics gathered at Singapore International Energy Week (SIEW) 2018, organized by Energy Market Authority, to discuss key energy issues under the theme “Transforming Energy: Invest, Innovate, Integrate”. For the first time, the 36th ASEAN Energy Ministers of Energy Meeting was held together with SIEW, as part of Singapore’s Chairmanship of ASEAN. This created opportunities for high-level discussions on how ASEAN can collaborate for a more sustainable energy future. Important changes in the energy market are needed to meet rising global demand, said Dr Fatih Birol, Executive Director, International Energy Agency, in his SIEW Opening Keynote. Investment will be crucial, with the power sector in Southeast Asia requiring US$1.25 trillion from now to 2040. At SIEW, leaders discussed the challenge of balancing economic growth against the expense of transitioning to more sustainable energy systems. As fossil fuels are still the most affordable energy source for many ASEAN nations, Dr Arcandra Tahar, Vice Minister of Energy and Mineral Resources, Indonesia, noted that measures must be taken to make clean energy more affordable. “We believe that the new generation of technologies and business models will present opportunities for us to overcome, or at least, to substantially reduce the ‘trilemma’ [of affordable, reliable, and sustainable energy],” said Mr Chan Chun Sing, Singapore’s Minister for Trade and Industry. This will be achievable only by constantly listening, learning, and working together, said Mr John Abbott, Downstream Director of Shell in his SIEW Opening Keynote. He noted that in the area of transport, the future of mobility will be determined by whether we can work together towards a system of many solutions. Digital innovation was a recurring topic at SIEW. Digital technology is expected to continue playing a key role in supporting decarbonisation efforts, building decentralised energy systems, and improving energy efficiency. While digitalisation holds significant promise, it comes with risks in adaptability, cybersecurity, and data privacy that industry players must prepare for. The integration of new energy systems is vital to the region’s energy access goals. SIEW 2018 showcased the commitment of key energy players towards regional interconnectivity and the region’s ambitions towards renewable energy. 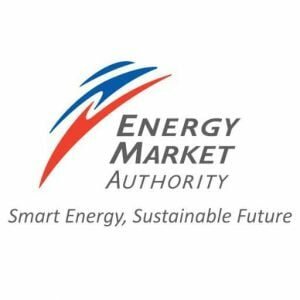 One major step is the Memorandum of Understanding (MOU) between the ASEAN Ministers and the International Renewable Energy Agency signed at AMEM and SIEW this year. This MOU includes plans on how to scale up renewable energy deployment for the region. As ASEAN looks to facilitate greater integration, Ms Marianne Laigneau, Group Senior Executive of EDF, called for energy players to consider new consumer needs, highlighting the need to design the energy system as a whole. Further collaborations will be necessary to address the region’s energy “trilemma”. Singapore will continue to help the region achieve its renewable energy goals, said Dr Koh Poh Koon, Singapore’s Senior Minister of State for Trade and Industry. As one of the world’s key financial centres, Singapore offers platforms for energy infrastructure developers, financial institutions, and investors to co-create innovative financing solutions for the region, he added. Building an enabling environment for investment, innovation, and integration of new technologies will allow the industry to meet energy demand and sustainability goals. This will require constant dialogue, further regional cooperation, and innovative solutions designed with the ASEAN landscape in mind. The 12th edition of SIEW will return from 29th October to 1st November 2019. Visit www.siew.sg for more updates. 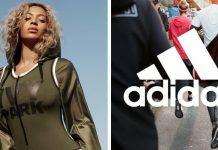 Next articleIs Online Shopping Really All Its Cracked Up To Be?